This week, we are getting saucy in the kitchen, werk our fro’, and ride that heat wave. We learn all about mayonnaise, try some froyo in Yoghurtworld and watch Jamie’s Summer Food Rave Up. Download the audio file here (4.8MB, 09:33), or subscribe to the podcast on iTunes here! It’s all about emulsions and we learn about mayo. I make mine with whole eggs. It can take more oil than you think! Froyo, that is. We take our inner child to explore Yoghurtland in Sydney. We experience a summer of love, Jamie Oliver style! 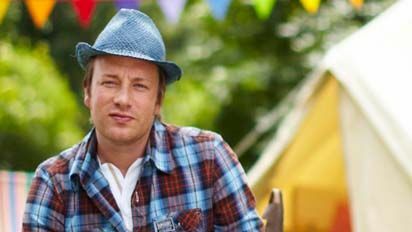 We watch Jamie Oliver’s Summer Food Rave Up. And don’t forget to tune in to our Trivia of the Week. Contains 1000mg of trivia for your daily dose.